I’m editing scenes from Dangerous Deeds in which my protagonist Maggie Porter is leading a Good Dog! 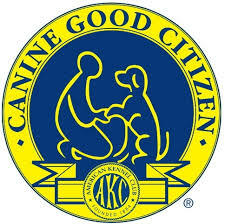 class to help owners and their dog prepare for their Canine Good Citizen test. 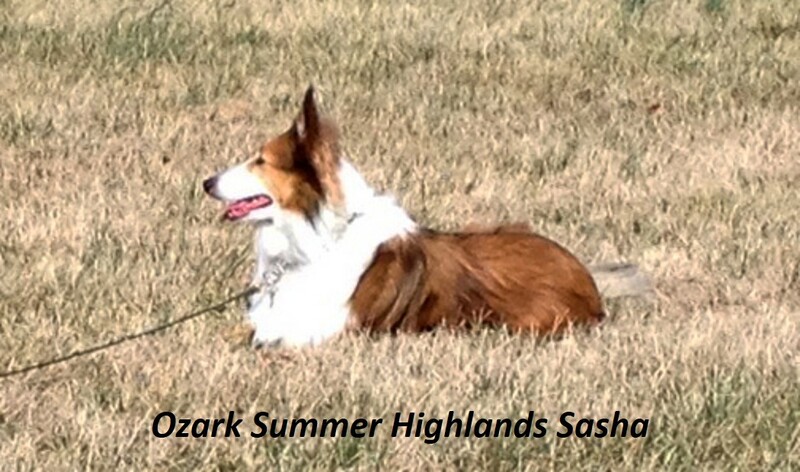 I first wrote those scenes before Sasha came into my life, so I had to rely on information from the AKC, training blogs, and YouTube videos. And while the test items seem relatively simple, achieving consistent results with a dog of my own is a bit more complicated than I envisioned. Take, for example, test item #8, Reaction to Another Dog. If we take our test indoors, Sasha will (probably) pass this one with flying colors. She’s been close to other dogs in indoor training situations and in retail stores, and she’s been calm and quiet every time. 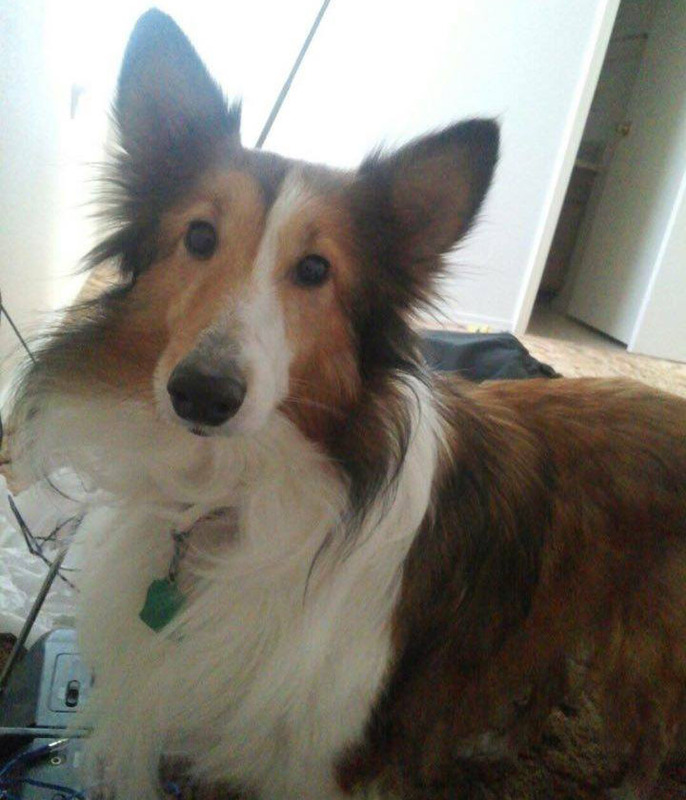 And those of you with Shelties know quiet isn’t common behavior! Our current challenge, though, is the off-leash dog. Maybe that’s happened to you in the local park, along a trail, or even in your own neighborhood. We’ve been accosted by off-leash dogs on multiple occasions, and most recently just this past week. We were less than a block from home after enjoying a casual afternoon walk. Two Australian Shepherds bolted through an open garage door and came in low, fast, and silent. If I’d known they were in there I would have crossed the street to give us some distance, but I didn’t see them in time to take evasive action. They ignored their owner’s commands and came straight for us. They’re young, well-muscled, and already bigger and heavier than Sasha. And she most definitely Did. Not. Like. Them. It didn’t help to hear the owner say “They’re friendly. Just stand still.” Seriously? I have no interest in taking advice from an irresponsible owner. I saw nothing to suggest this was a friendly meet-and-greet, so I backed Sasha up while staring down the dogs. The owner struggled to get handfuls of hair (no collars!) and held them long enough for me to get Sasha safely past them. In the days since, I’ve worked to reduce Sasha’s renewed hyper reactions around dogs in general and I’ve done my best to keep her away from known trouble spots. Just this morning, though, we came across a dog who was loose in an unfenced yard. Sasha saw him as he headed our way and, predictably, reacted by barking fiercely. The dog’s body language suggested interest but no overt aggression, perhaps because we were in the street and about 20 yards away. I put Sasha in a sit-stay between my legs, held up my hand in the classic “Stop” gesture and said “NO! GO BACK!” The dog halted and immediately turned away when his owner called him. (Excellent recall demonstrated there!) Other than her initial outburst, Sasha sat quietly and, once we moved along, looked to me for approval—which of course she received, along with lavish praise and treats. She looked back just once (a big improvement over previous behavior), tossed out one last bark and then moved on. We’ll keep working to build Sasha’s confidence when meeting dogs, whether they’re leashed or loose. Every day brings new encounters with different dogs, and that’s great training for my Canine Good Citizen in training! Dangerous Deeds, the second book in the Waterside Kennels mystery series, weaves a tale of mischief and mayhem that sets neighbor against neighbor and disrupts the quiet life Maggie Porter longs for. A major part of the plot revolves around a proposed ‘dangerous’ dog ordinance that’s based on breed-specific legislation (BSL) enacted in hundreds of communities across the country and in multiple countries around the world. For the record, my protagonist Maggie Porter shares the AKC position that BSL doesn’t work, in part because it fails to address the issue of owner responsibility. Unfortunately, some nefarious community members have targeted Maggie’s opposition to the proposed ordinance to further their own agenda. Their efforts generate ripples of dissent throughout the community, leading to boycotts, threats, and death too close to home. Dangerous Deeds is on track for publication this year. Stay tuned! Just when I think we’re making progress in our preparations for the AKC’s Canine Good Citizen (CGC) certification, something happens that has me reevaluating my process. From our first days together I knew I couldn’t apply the same training methods I’d used years ago with my spaniel Alix. For one thing, Alix was just six weeks old when she came to me, and she was socialized to people, cats, and other dogs right from the start. She was rarely left alone and regularly engaged in fun activities. Training Alix was a straightforward process, thanks to the expert support of my sister Maureen Kidd, who is a superb dog trainer. 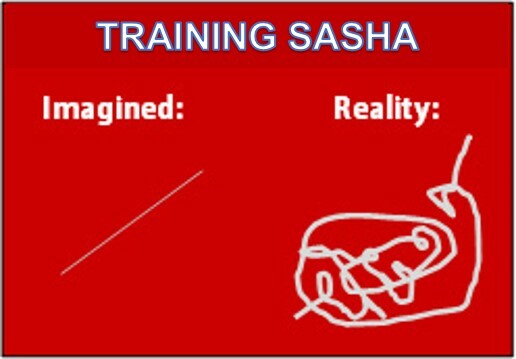 In contrast, there’s nothing straightforward about training Sasha. She was at least a year old when she came to us, and whatever happened to her before that point caused her to be anxious and generally fearful of pretty much everything. Consequently, my focus in our first year together was to reduce her anxiety and build her confidence. That’s worked to some extent, but we have a long way to go. We’ve made good progress in some areas, such as reconditioning her response to the coffee grinder or reducing her tendency to bark at neighbors and dogs on the other side of the fence, but we’ve lost some ground along the way as well. Take the CGC test #8, for example–reaction to another dog. I actually thought this would be an easy one for her because Sasha generally ignores the dogs we see in PetSmart or Lowes. She paid scant attention to the dogs we met in obedience class. We participated in the Dogwood Walk last May with hundreds of people and their dogs, and she was relaxed, confident, and clearly enjoyed herself. So what changed? Haven’t a clue. She’s still calm around other dogs when we’re in stores but neighborhood walks are a whole different experience. Any distraction (think squirrels, birds, passing vehicles, animals, even lawn decorations blowing in the breeze) can set her off. Sometimes the “look at me, good girl, quiet” followed by treats is effective, but dogs, whether close by or a block away, push her past the point I can reliably capture her attention. Still, we’ve been making some progress with this. When I see anyone approaching with their dog, I’ll cross the street to put a bit of distance between us. I’ve discovered she’ll willingly go from a sit to a down-stay and remain reasonably quiet while the other dog walks by, even if the dog passes within a few yards of us. That’s been true for leashed dogs, and even a few unleashed dogs as long as they keep their distance. If we’re going to earn the CGC, though, we have to get to the point where she’ll walk calmly past another dog. We spent an hour out there. During that time I learned that Sasha’s reaction to dogs is neither size- nor breed-specific. She was at times friendly, interested, dismissive, or reactive. She walked calmly but stopped often, usually when a dog approached from the opposite direction. She ignored one Boxer and barked wildly at another and then at a much smaller dog (a Westie, I think) who wasn’t anywhere close to us. Sasha had plenty to say when one BIG dog lunged in our direction but didn’t so much as glance at the pair of German Shepherds sitting beside the trail. She turned around to watch a Corgi as it passed by but never made a sound. Ditto with a Labrador, and with the terrier missing part of his back leg, despite the terrier’s obvious interest in Sasha. She managed to bark at dogs of all sizes and breeds while completely ignoring others, including several who barked at her. As the down-stay isn’t a viable strategy for parks and trails (and obviously not a long-term solution, period), I worked on focusing her attention on me and praising her when she was quiet. When we called a halt and claimed a bench at the side of the trail, she sat quietly and watched the crowds go by. By that point, she’d probably had all the stimulation she could handle. Next time we’ll hit the section of the trail adjacent to the Botanical Gardens, where there’s a big field to run through and plenty of space between trail users. 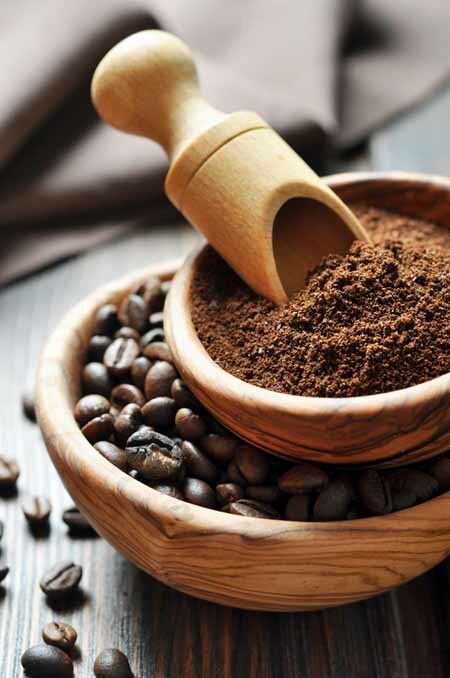 And we’ll keep working on the CGC test items. It may take a while, but we’ll get there!